The South Perth Bowling Club was founded in 1916 on the present site in Mends Street, with one green and a small weatherboard clubhouse. The Council of the day granted the club a loan of 400 pounds with local identities in Messrs Clydesdale, McClintock and Evers acting as guarantors to enable construction to commence. 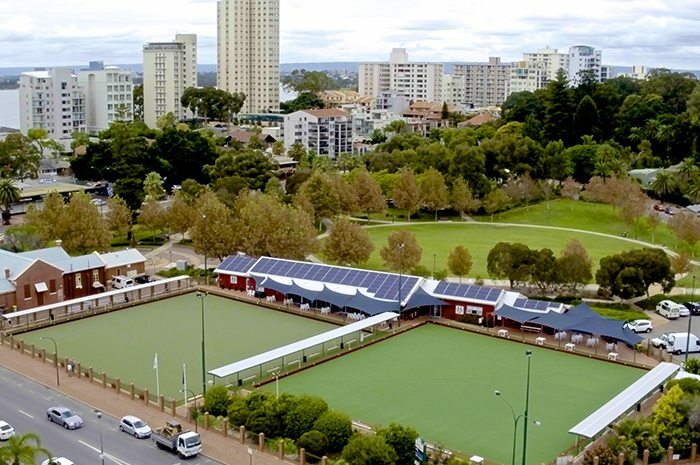 Adjacent to the bowling green, the South Perth Croquet Club used a small green which was shared by both sports and, when the Croquet Club ceased to exist, its clubroom was taken over by the female bowlers and used in conjunction with the main clubhouse. In 1958 the men replaced their old clubhouse with a new one and in 1978 when the men were planning extensions to the main clubhouse, the women asked to join them and were welcomed. Extensions were completed in 1979 and all members unified in the new facility. Significant renovations are again planned in 2013/2014 in time for the club’s centenary in 2016. The club’s most successful period was between 1949 and 1962 when members won State singles, pairs and fours and also won six pennant flags in seven years. Similar success followed in the late sixties and seventies when the club was a powerhouse of the competition, particularly within the men’s divisions and again more recently with a return to Premier League competition in 2006. South Perth has always been a club with a strong connection to the country and prides itself on its family oriented membership.